“Beauty and the Beast” was released in theaters in 1991, and to say that I was obsessed with this movie is putting it mildly. I was 12 years old when it debuted and I must’ve seen the film at least 10 times that summer. In my mind, nothing was better than spending an afternoon wrapped up in this tale of “far-off places, daring swordfights, magic spells, a prince in disguise!” I remember sitting in the theater, dreaming of visiting Belle’s quiet French village, exploring the halls of the Beast’s mysterious castle and whirling across the golden ballroom in a gown of the same color. Soon fans of all ages will have the opportunity to do just that and take a trip through the world of “Beauty and the Beast” at the Enchanted Tales with Belle storybook adventure, which is currently under construction as part of theFantasyland expansion at Magic Kingdom Park. Walt Disney Imagineering is currently building Maurice’s workshop, which will serve as scene one of the experience. 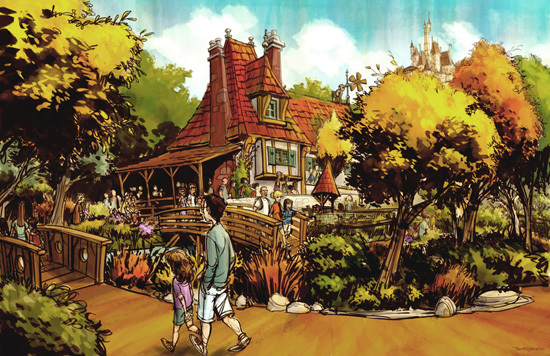 The workshop, which is modeled after a French cottage, will be surrounded by a wishing well, footbridges and lush landscaping. Once inside, guests will step through a magic mirror and find themselves inside Beast’s expansive library, which he created as a gift for Belle in the film. This room will serve as the setting for a memorable character interaction experience with Belle – which will require a little help from Lumiere, the enchanted candlestick. Another “Beauty and the Beast” experience planned for this area is the Be Our Guest Restaurant, which will allow up to 550 guests to dine in the ballroom, gallery and “West Wing” area of Beast’s castle. 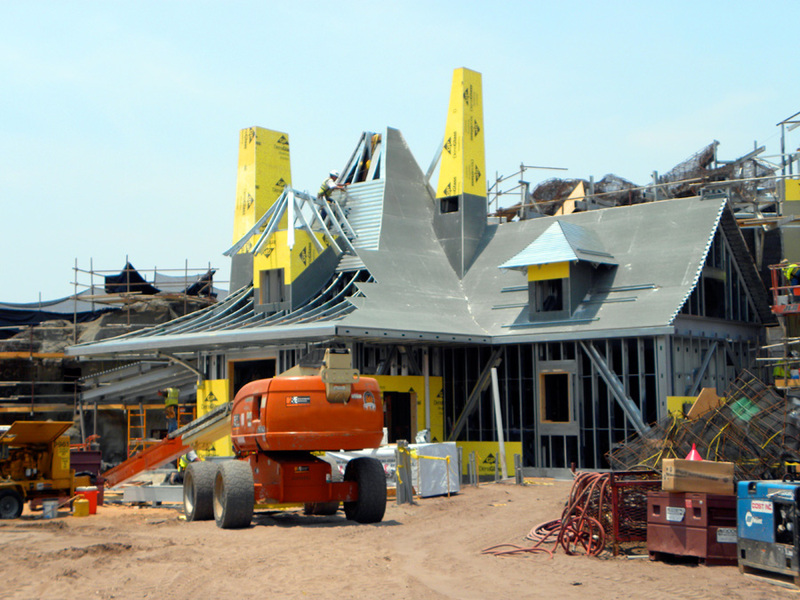 These and other Fantasyland enhancements will open in phases starting in late 2012.